Our message is simple….and appropriate for a Monday. Rather than completely relax on Sunday, many of us start to plan out our week. This is a good thing to a point. Like everything else too much of a good thing isn’t good. We need to have balance. We are asked today to leave space for surprises. As much as we can, go with the “flow” of life. Try not to go against where it is taking us. When we feel resistance to our plan, let go and let life redirect us to where we are supposed to be. -Lots of company for dinner. We loved having all of the Gordons, Alex, Mary, Don, Amelia and Lauren join us. 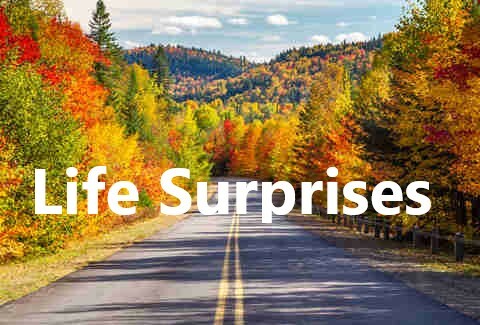 -Speaking of surprises. When I have company, I always try to have at least 1 “guinea pig” recipe, a recipe I have not tried before. Yesterday I had three and against all odds, they were all winners. -Alex and I went to a late night movie.